Wipe data highly recommended in case of issues..! 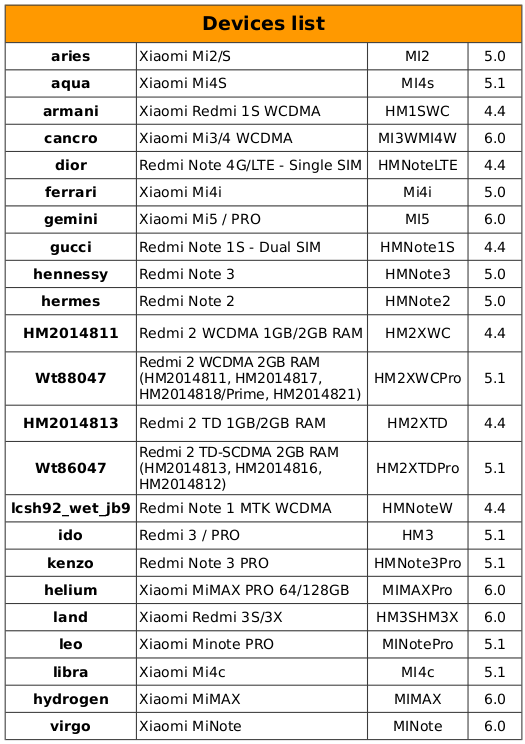 Due to the limitation of hardware platform, devices running MIUI 8 based on Android 4.4 (Redmi 1, Redmi 1S, Redmi 2, Redmi 2A, Redmi Note 3G, Redmi Note 4G) don't support 'Second space' and 'Cloned apps' for now. For Redmi NoteW installation, follow this guide for repartition your internal storage... otherwise you will get bootloop and cry to your pillow..! Thanks for sharing. I'll try. install it via updater or via TWRP with wipe also data? I say a big, big thanks to all of this great team! Have a nice trip on MIUI 8! Sorry but i cant see the link for Hennessy ?